With a kid and a busy mama lifestyle, I need all the beauty help I can get. I’d love to roll back the clock and bring back the tone and texture of younger looking skin especially now that I’ve entered my 30’s. Now I can with the new On In Beauty Beauty System. On In Beauty is a revolutionary new skincare system consisting of a nourishing topical cream and a naturally sourced dietary supplement that works on the outside and inside. 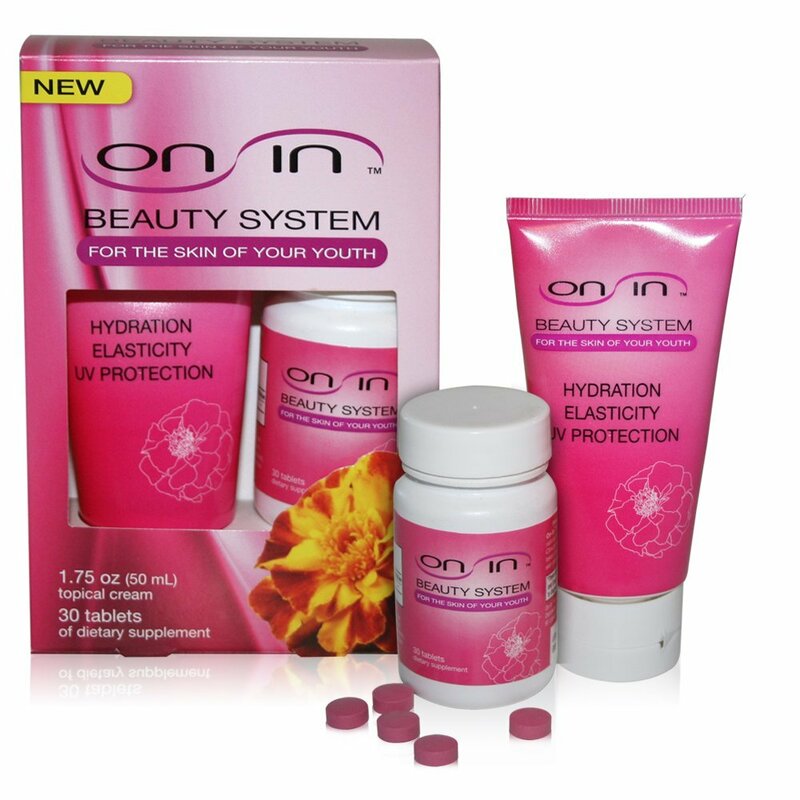 On In Beauty is clinically proven to improve skin hydration, elasticity and UV protection in just 2 weeks. 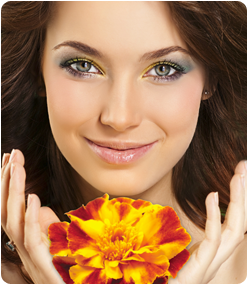 It uses lutein, a natural antioxidant, sourced from marigolds which achieves fast absorption into skin cells to reduce wrinkles and fine lines. Beauty and technology!! I love contests like this! We are excited to join The Freebie Junkie and bring you this great event sponsored by On In Beauty! How do I defy the aging process? Hah, I wish I knew. I need some defying. I have noticed since I have been ill with Lyme and other malodies and changed my diet to not eat any sugar, carbohydrates, fruits, dairy, wheats, grains, cut out sulpher foods, and try to eat only organic and grass fed meats, I look better and not so sickly. I act as immature as possible….LOL…and I wear a lot of makeup and don’t dress like an old lady.